I like how the green coats turned out. I know what you mean about getting stuff done during the work week. The last two weeks have been long at work and the weekend just seems to be catching up on stuff i should have been doing during the week. Which leaves little time for hobby stuff. 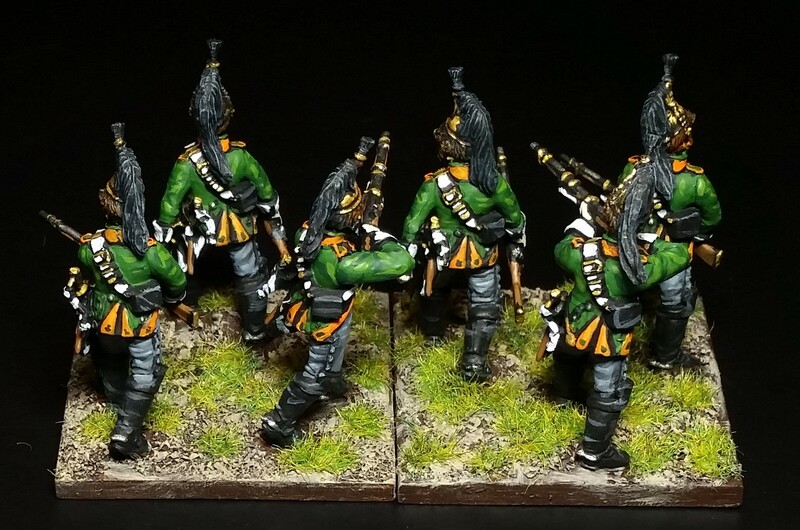 Perhaps a modest start but, Dean, your dragoons are GORGEOUS! As for the trials of work week, I hear you. Sometimes, I do not have the motivation for an evening painting session. Often, I fall asleep with book in hand. 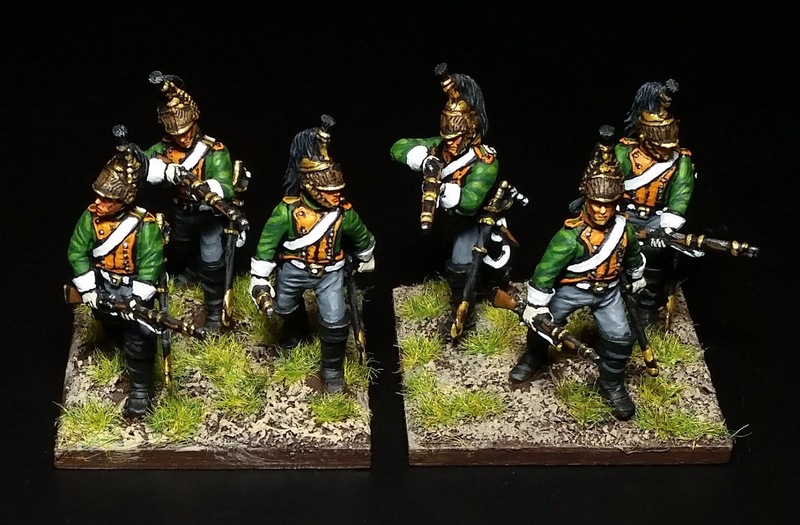 Lovely colors, especially the green shades...and wonderful dragoons! A modest start maybe, but delightfully painted Dean. Bravo sir! Dude your still way ahead of me, even in spurts. I need to find my mojo. One of two of my favorite Cavalry are the French Dragoons and French Cuirassiers. You’ve done a fine job, and every time I see something like this I want to paint some. There's a lot to be said for that technique, though I actually paint in the black lines, I am a firm believer that it helps the figure pop. That's also a good technique too. Lovely work Dean. 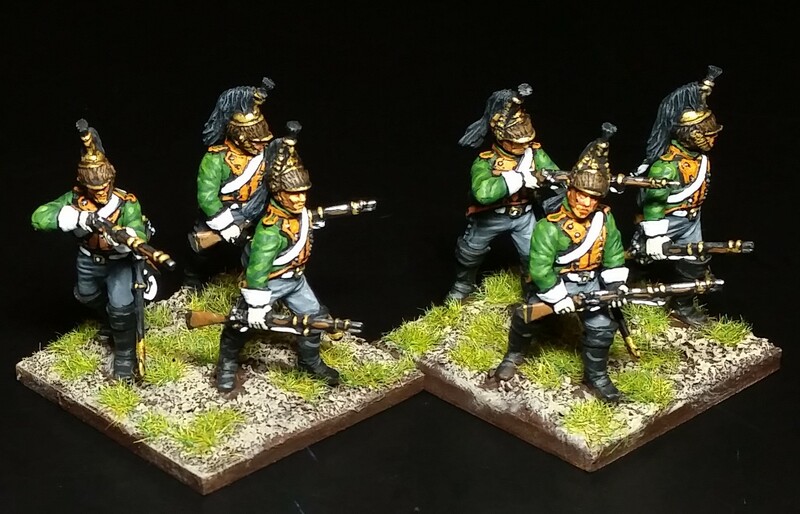 I always had a soft spot for the French dismounted dragoons that were dragged along to Austerlitz. Nothing to stop you painting up a whole regiment of them. A lovely paint job by the way, as is to be expected. True story, Dean. It’s really hard to do such painstaking things after a whole working day. Though result looks great. Congratulations! It may seem a slow start, but your colors turned out beautifully. Wonderful! Especially the green uniforms are a feast for the eyes. More than great my friend! 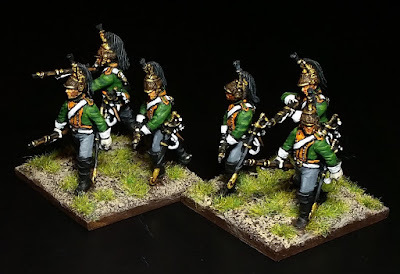 Great looking dragoons, very nicely done,I hardly ever have time to paint at the weekend, just chipping away in the week and using it to wind down. Love it. Many people forget about dismounted French dragoons, that's good you have it. They look great, Dean. 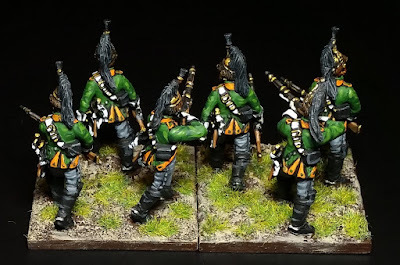 I had a unit of 18 of them in my first French army, using Hinton Hunt figures. I have a new version using Brigade Games models to do, but the lead remains bare as yet! Those dragoons look great Dean! 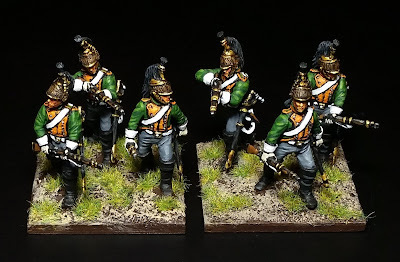 I really like the colour shade of the lapels - it's one of those colours that you don't see too often on uniforms but it is so evocative of French Dragoons regiments (I think there must have been something like 6 regiments that had that orange shade). You really have got these looking superb! Great use of colors Dean. Nice!